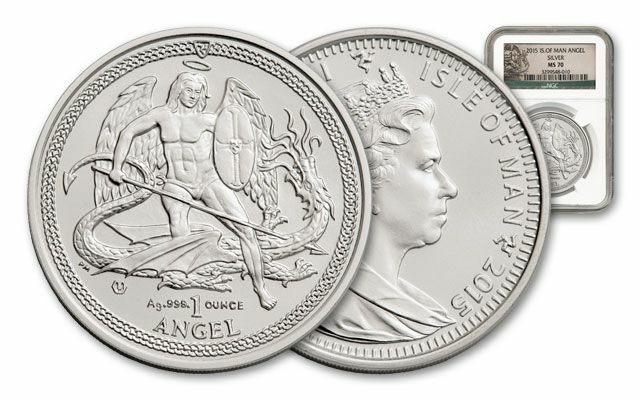 Lucky Silver Angels - Stash Some For Your Collection, and One For the Road! For over 600 years, lucky British Angel coins have been treasured by millions. Medieval kings and queens often bestowed Angel coins on worthy subjects, and these coveted coins were believed by many to bring the bearer good luck, fortune, and were even thought to have cured sickness and saved lives. 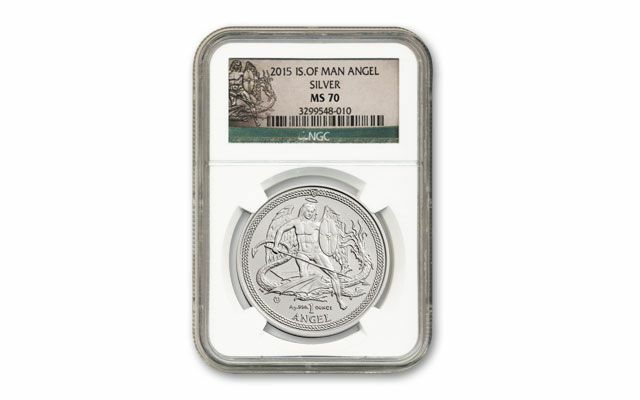 Now you can secure your own lucky 2015 Silver Angels in flawless Mint State 70 (MS70) condition - each struck from one ounce of 99.9% silver. The coin shows Saint Michael slaying the dragon - the iconic image on all Angel coins! 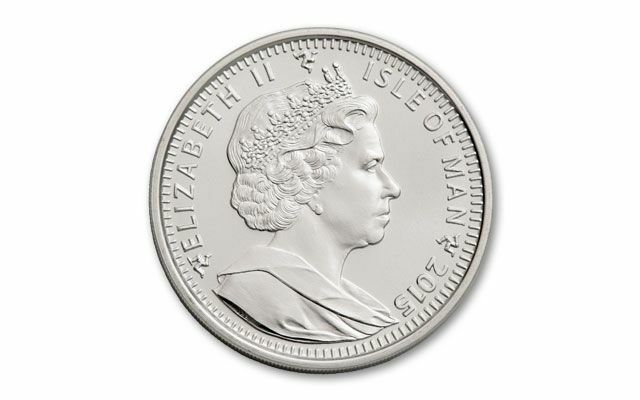 The obverse features a stately image of Her Majesty, Queen Elizabeth II. 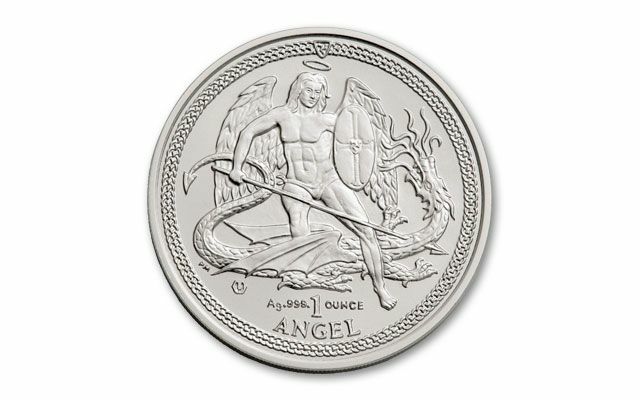 In addition, this Silver Angel is one of the most affordable one-ounce silver coins available anywhere in the world, so stock up now. What could be more lucky than a whole pocket full? This is an exclusive offering. Make today the day you stock up!